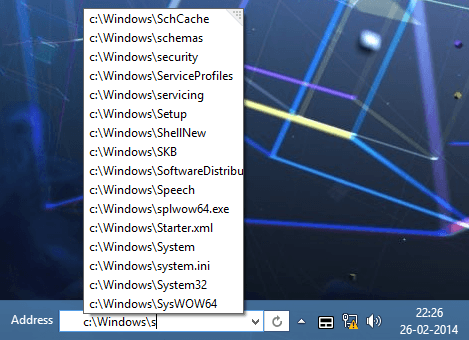 Windows Logo key + X will display a pop-up menu list of the windows administrative tools, which contains links to device manager, disk Manager, command prompt, task manager, file explorer, etc. Windows Logo key + I will display system settings page, where you can find system settings option like control panel, personalization, PC info, and several other settings. Windows Logo key + C will display the Charm Bar (PC settings). You can also access this page by moving your mouse cursor to the Right side Top/Bottom screen edge. Windows Logo key + F will display search option. From here, you can search for files, applications, system settings, etc. Windows Logo key + . will move running application from left side to right side. This is helpful when you have multiple application running at the same time. Windows Logo key + Z will display application options when it is running in full screen mode. When in full screen mode, the options will auto-hide after few seconds. To bring the options back, use this shortcut key. To Zoom in, press Control button and scroll up the mouse button. To Zoom out, press Control button and scroll down the mouse button. When you choose a picture as a password (instead of the typical character/word password), you need to pick a picture, and draw three identification marks (gestures), which will allow you to unlock your system. Gestures are circles, lines, tabs (one time mouse click). Press Windows Logo key + I to open settings page. From here, you can find Change PC settings page at the bottom. Draw 3 gesture on the picture to unlock the system. The Gestures should be either circle, tab or line. Normally in previous Windows operating system, we tend to fix some of the major issues in safe mode. 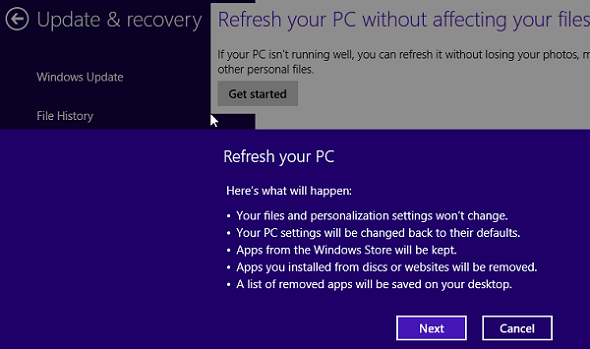 In Windows 8 operating system, using Reset/Refresh options, we have a feature to fix the Operating system issues without OS CD. When OS is crashed, it will automatically take you to System Advanced startup options, from there we can fix the issue using Reset or Refresh options. Refresh Option: This option will reinstall operating system without removing your native applications (Factory installed applications) and your stored data in C:\ drive. Newly installed applications are removed from the server and removed app list is stored on desktop as a html file. Advanced startup: This provides basic trouble shooting tools to fix OS issues. In Windows 8 we can share our internet to other devices through WLAN hotspot. If the Hosted network supported says “No”, then your network card doesn’t support this feature, and you cannot use this tip. ssid = is the Wlan name. Start 3: Start the hosted network using the following command. Step 4: Open network and sharing center. After starting the Wlan, this will show the newly created hostednetwork in network and sharing center. Step 5: Select newly created hosted network, click on property. Step 6: Choose sharing tab from the network property page, select “Allow other network users to connect through this computer’s Internet connection” check box. After completing all the above steps, we can see our newly created wlan from other devices. Select wlan and provide the password which we gave while creating the hosted network. In previous Windows OS version, we press “Print Screen” button to take screenshot and past it in Paint or MS Word. But in Windows 8, we have a auto save feature for print screen pictures. You can take a screenshot by pressing Windows Logo key + Print screen button. But, the screenshot it takes will be automatically saved under My Pictures\Screenshots folder as a .png files. 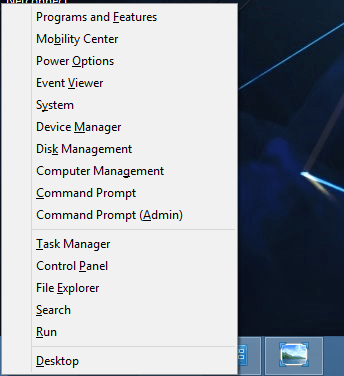 Start menu has changed in Windows 8. 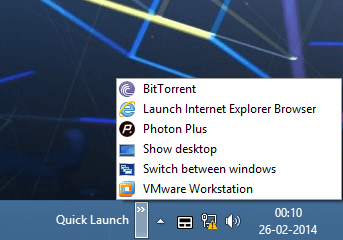 We can still get Windows 7 style start menu back without installing any third party tools. 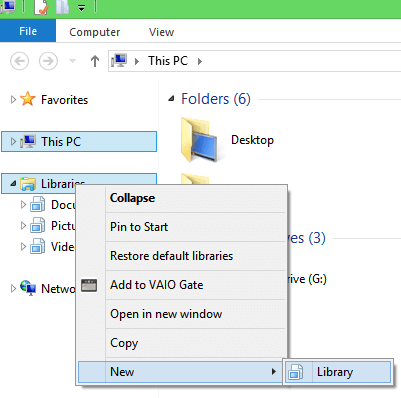 Open Windows explorer -> Choose view options by pressing (Alt + V) -> Options -> Choose Show Hidden files , folder and drive -> Uncheck the Hide protected operating system files. This steps for this is similar to the previous tip. By placing address bar in the Taskbar, we can access our folders and files very quickly. If you are using touch-screen hardware, Windows 8 is designed very well for touch-screen. In that case, we may need to use the Onscreen keyboard most of the time, and it is tood to keep it on the Taskbar itself. 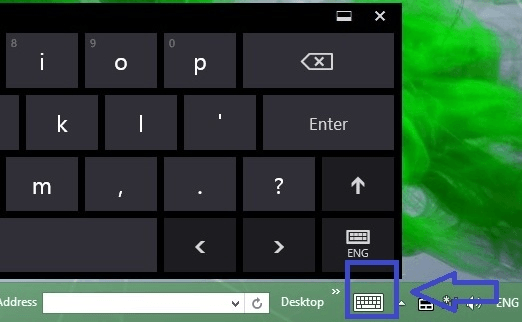 Windows 8 touch keyboard has 3 styles we can change it as per the our continent. Press the ENG button on the onscreen keyboard to change the keyboard views as per your requirement. From the onscreen keyboard style you can increase or decrease the keyboard buttons: Right-click on the “3 dots” on the keyboard, which will display a pop-up menu to choose the button size. 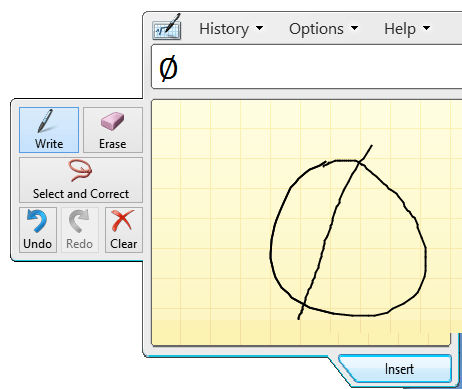 To get the handwriting keyboard, press the ENG button on the onscreen keyboard, and select the Pen/pad symbol. Press Windows Logo Key + I -> Change PC settings -> PC and devices -> Lock screen. From this page click on browse button -> Select the image you like to use for your lock screen. Relatively Windows 8 starts faster than the previous Windows OS. But, if you find yourself in a slow boot-up of the system, you might want to disable some of the startup applications and see if it helps. If you find any program shortcuts that you suspect might be causing issues, delete it from this folder. Next time, when the system boots it will not start that particular program. Don’t worry, you can still launch the program fromt he start menu, when you need it. Also, open the Task Manager: Press (Ctr + Shift + Esc) -> choose Startup Tab -> Sort by “Startup Impact” column -> Select the ‘High’ program. i.e Select the program that causues performance issue during boot-up process -> Right-click and disable it. You can launch My computer, your favorite folders, or any other objects directly from the Start screen by pinning those objects to the Start. Right-click on your object (the one that you want to pin to the Start menu) -> Select “pin to Start” option. 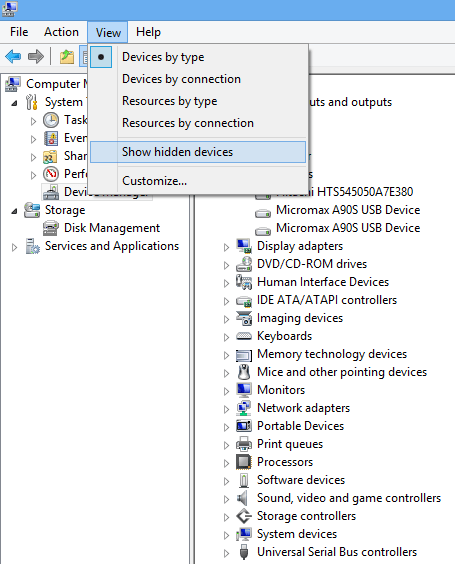 When you connect Hardware devices to your Windows 8 system, it will automatically install the appropriate drivers. But, when you remove the device from system, the device details and drivers will still be on the system, but in hidden state. If you are facing any issues reconnecting any of your devices to the system, you can uninstall the old drivers, and let it auto-install again. Right click on My Computer -> Manage -> Choose Device Manager from the System tools. After the above change, you can see the hidden devices. Event logs are very helpful when you are troubleshooting some issue. Right click on any device in device manager -> Properties -> choose Event tab in Device properties page -> Here you can find the device installed date and time details. We can get all applications shortcuts in folder. This will help us to access the applications very quickly and easy to manage when compared to doing the same from Start screen. The above is the shell folder id taken from the Registry entry. So, when you open this folder, it will redirect you to the application folder. Windows 8 has IE 10. Few websites will not work correctly in Internet Explorer 10 due to compatibility issue. Launch IE Browser -> Press F12 function key -> This will open debug windows at bottom of the page -> Choose the Browser mode option -> Change the browser mode to IE 9, IE8 or IE7. When you boot Windows 8 system, it will directly go to the Start screen. But you can change this settings and make it directly go to either Desktop or application view. 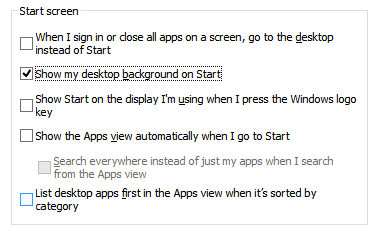 Right-click on Taskbar -> Properties -> Choose Navigation page in Taskbar properties -> Check the “Show my desktop background on start option” option. Jump list is an easy way when you like to access the files and application quickly. Move the mouse cursor on top of the folder/Application, and it will show the current opened folders. For applications, this will show the current running programs. 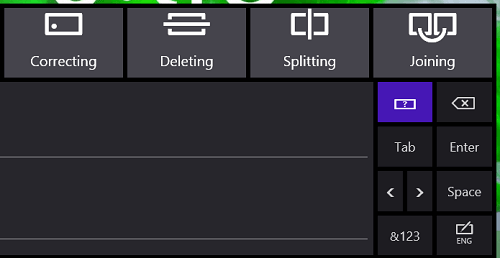 Right click on the application/folder, it will display the recently opened and closed folder/application list. To restart an application, take the mouse cursor to the top of screen -> mouse cursor will transfer to a hand shape -> hold the application by pressing the mouse and right-click -> Drag it to bottom of the screen and wait for 3 seconds for your application to restart. For example, open any website in your IE browser, and drag the IE browser to bottom of the screen, and it will restart and open the default home page set in the IE. Libraries are collection of Folders. It is smilar to Shortcuts. The main different between Shortcuts and Libraries is that shortcut can be accessed only from where you placed the shortcut file; but Libraries are available in all file explorer from the right side of the explorer panel. Right-click on the library folder from your explorer -> New -> Library (Enter the library name). Right-click on newly created Library -> Property -> Add appropriate folders to the Library in the property page. We can also set the selected folder as default public user profile by choosing “Set public save location” or default download file location. We can type mathematical symbols, which will sort out the Math input from all your applications: Start -> Type Math input panel. Place the cursor on your document where you want to type the characters -> draw the Mathematical character in Math input panel and press the insert button, which will insert mathematical character in the document. Microsoft has introduced a new feature called “Reading list” in Windows 8, which will save web pages for you to read in offline mode when you are not connected to the internet. Open a web page in full screen mode on your Windows IE browser -> Open the charm bar on top of the IE browser (Press Windows Logo Key + C). Select the share from the Charm bar. Select Read list from the share location -> Select Add option to add the web page to your offline reading list. To access the web pages from the list Read list: Open the Read list app from the start screen -> Select the web page to read from the list of reading list page. Open Control panel (Type the control panel in start screen and select it from the list. Or, type Control in Run it will open the control panel). Select Internet options from the Control panel. Select Programs Tab from the Internet options page -> Choose how you open link option in the programs page to change the Internet options -> Select the appropriate options. We can add different type of storage devices (external hard disk, SAN, NAS, usb stick, etc) to our system and configured it as single drive (Storage pool). There is also some kind of mirroring available (similar to server RAID feature). Create storage space. Enter storage space name, drive letter, size, file system type. 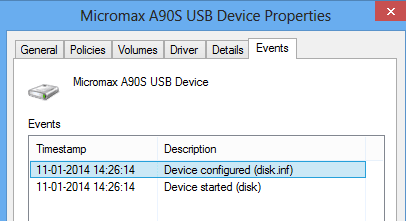 Finally, you can find that newly created drive under My computers. 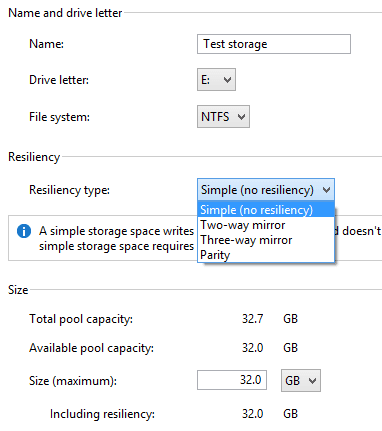 Simple(no resiliency) A simple storage space writes one copy of your data, and doesn’t protect you from drive failures, A simple storage space requires at least one drive. Three-way mirror A three-way mirror storage space writes three copies of your data, helping to protect you from two simultaneous drive failures, A three-way mirror storage space requires at least five drives. Parity A parity storage space writes your data with parity information, helping to protect you from a single drive failure, A parity storage space requires at least three drives.